We all know that from time to time your grease traps will need to be emptied and hood vent filters will need to be cleaned. Aside from keeping the grease from overflowing, there are sanitation reasons why you should thoroughly clean areas where grease is collected. Some of these reasons are food safety issues, and while they are discussed in ServSafe MN training courses, we thought we would provide you with a brief reminder and tips for preventing grease from causing foodborne illnesses. There are three common kitchen pests that are attracted to grease. Fruit flies, common flies and cockroaches have been known to seek out greasy areas for a food source and breeding grounds. Fruit flies can become especially troublesome if they gain sanctuary in greasy areas and spread to the rest of your facility. One common misconception with grease is that since it has already been heated on the stove top or grill, that it cannot be a serious foodborne illness risk. The grease in your traps and hood vents contains elements of the food that you have cooked and essentially lives in the danger zone 24 hours a day. If you have excessive grease anywhere in your facility, you have created perfect growing conditions for bacteria that can potentially end up in your guest’s food. There are simple solutions to keeping your food safe from grease contamination. First, empty and clean your traps a vent filters often. Make sure that your overhead hood vent filters are completely dry before replacing them. Allowing water to drip from them onto your cooking surface can create safety hazards above deep fryers and cross contamination issues if the water drips onto food. 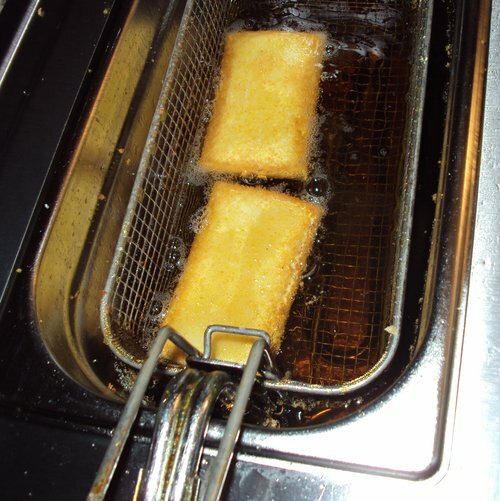 Take the time each day to clean areas where fryer oil and other greasy food components are prepared. This will prevent buildup and make thorough cleaning easier. Like many foodborne illness concerns, simple sanitation is the easiest was to keep your guests safe. What simple tasks do you feel are important to prevent small issues from becoming major problems?